This is shaping up into a golden autumn for the elder stateswomen of rock and popular music across the genres. From Sandie Shaw’s exciting collaboration with Davidge to Marianne Faithfull’s best album in years, from Annie Lennox’s forthcoming dip into the American standards to Betty Buckley’s Ghostlight, from Kate Bush’s extraordinary live performances to Peggy Seeger’s ageless vocals, they are each a testament to their own capacity for reinvention and boundary-pushing in a notoriously youth-obsessed business. And they are producing some of the finest and most interesting work in their already illustrious careers. To the growing list we must now add Sarah-Jane Morris, who practically steals the show from the lot of them with Bloody Rain, an exhilarating Africa-inspired journey through intimacy and friendship, passion, the political legacy of colonialism, homophobia, industrial exploitation, child-soldiers and the fractures that explode when Western culture impacts on traditional family life. It sounds like a complicated proposition. But Morris’s song-writing is so adept that the personal and universal perspectives, swept up in a constantly shifting net of beats and lilting melodies, are always clearly defined and accessible – and unflinching. Given many of the subjects tackled, an underlying anger throbs through numbers like “No Beyonce”, “David Kato” and “Coal train”. Morris’s skill is to keep it subliminal, rendering the shock of the shattering lyric above a seductive rhythm all the more potent. Don’t be misled by the Joplin-esque fierceness of the cover image, which might suggest the album is a long howl of rage. The range of textures in this most distinctive of voices gives her a wide palate of choices, from the dark, ominous growl that she deploys on “Deeper well” to her eloquent narrative on the human cost of the diamond trade on “Coal train”, to the stark beauty of “On my way to you”. There’s even an impassioned take on “I shall be released” for good measure (apparently, it’s compulsory for everyone to include a Dylan cover when they make a new album – but this ties in seamlessly with the arc of Bloody Rain). Morris has always been a nomadic singer when it comes to style, eschewing easy categorisation and gracefully side-stepping the legacy of “Don’t leave me this way”, that gloriously excessive, soulful collaboration with The Communards which could so easily have consigned a less-resistant artist to the “eighties singers” pen. Further evidence of that versatility can be found in the album’s several love songs and tributes to friends and family, grounding its complex themes in the powerful resourcefulness of human relationships. And on the last track, the triumphantly satirical “Men just want to have fun”, with its calypso sway, Morris unleashes a needle-sharp humour to make her point about male attitudes to sexual freedom. This is a “Man smart, woman smarter” for the 21st century, frank and utterly contemporary. 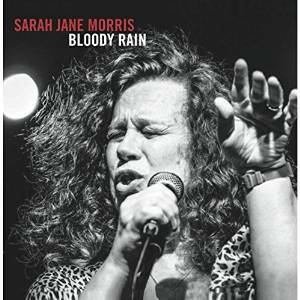 With an exceptional band of musicians and backing singers, including Courtney Pine, the Soweto Gospel Choir, Pee Wee Ellis and Ian Shaw, Morris has created an enthralling work which ultimately soothes having delivered some powerful emotional punches. That’s quite a feat. Album review – Kristyna Myles: Pinch Me Quick! 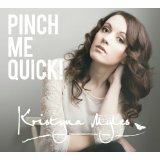 Former Radio 5 Live Busker of the Year Kristyna Myles has pulled out all the stops with her debut album, Pinch Me Quick! And with a generous 14 tracks of articulate and soulful pop, it’s a polished piece of work, overseen by Grammy award winning producer Ken Nelson. Lush strings and horns weave their way through the arrangements, providing a rich setting for Myles’s fluid vocals. Soul influences dominate and are reflected in the ease with which she extemporises the melody, mercifully swerving the kind of melismatic excesses that send X Factor judges into clichéd ecstasy, and focusing on lyrical clarity. She has co-written many of the tracks with a tasty set of collaborators, including Judie Tzuke and David Goodes (“You’ve Changed” and the bluesy “Big Love” are two of the best songs on the album, edgy and urgent), and Ben Williams (“Uninvited”, “Setback” and the country-tinged “Stay With Me” are subtle, shaded ballads about defiance and the solace of intimacy). Elsewhere, ”Make it Right” and “Betrayal” are two solo numbers which change the tempo of the album, weaving a thoughtful and impassioned personal thread into the mix. And a couple of songs written with Tamra Keenan –“Just Three Little Worlds” and “I’m Not Going Back” – are earworm anthems equal to anything that we’ve heard from Adele or Emili Sandé so far. The only non-Myles song is Paul Weller’s “The Paris Match”, a cover of the Style Council classic which has already earned Weller’s praise. Eloquent and fatalistic, it’s a beautiful, cinematic treatment with a touch of Bacharach in the arrangement. Pinch Me Quick! seems a cheeky title for an album that is actually a multi-faceted exploration of life experiences and emotions – what proper, grown-up pop should sound like in 2014. Tags: British female singer, British soul singer, Female Singer/Songwriter, Judie Tzuke, Kristyna Myles, Pinch Me Quick!